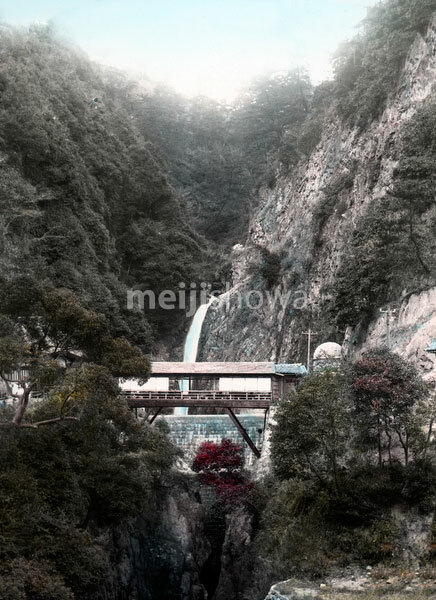 Medaki waterfall at Nunobiki Falls, a famous waterfall in Kobe, 1880s. In summer this was a popular place for Kobe residents to cool off. Because it was introduced in all guidebooks about Kobe, the falls also attracted a large number of tourists.